Take the guesswork out of teaching and tracking Common Core ELA Standards! 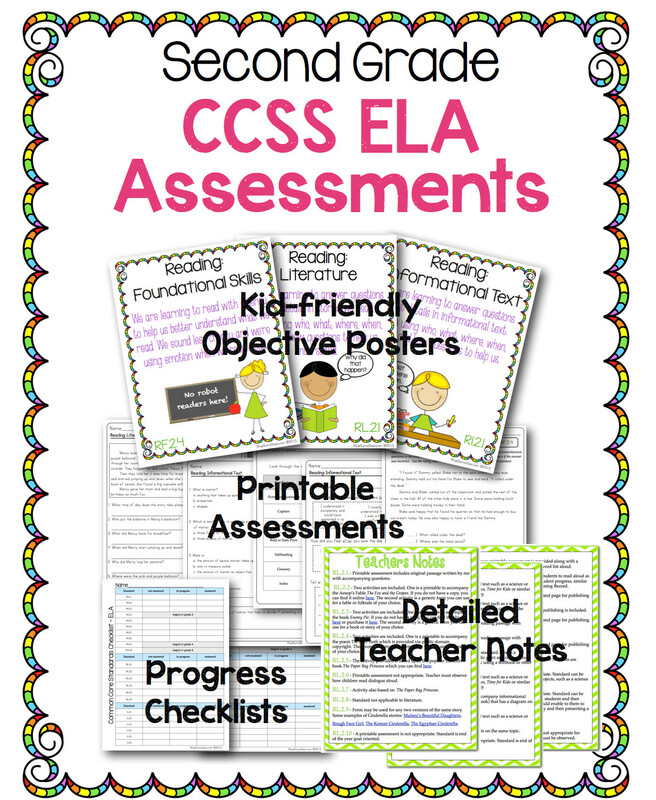 This pack includes a poster for each standard, an assessment or activity for almost every Common Core ELA Standard for second grade along with answer keys and a student checklist. They work equally well as pre or post assessments or even stand alone standards-based classroom activities. *Some of the English Language Arts Common Core State Standards are not easily assessed by a simple printable. However, rubrics, lesson ideas, informal assessments and teacher notes are provided for those standards as well.